6) For Name, enter your name. 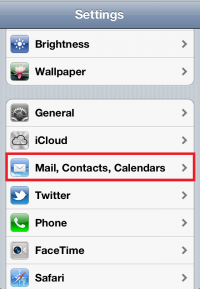 For Email, enter the email address that you are setting up. For Password, enter the password for the email address. For Description, enter your account description. 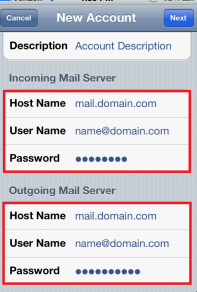 7) For both Incoming Mail Server and Outgoing Mail Server, you will be entering the same information. For Host Name, enter your server name. This will most likely be mail.YourDomain.com. 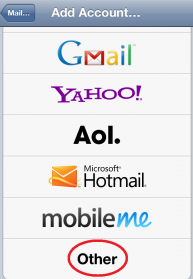 If mail.YourDomain.com doesn’t work, then enter mail.netcetera.co.uk For User Name, enter the email address that you are setting up. 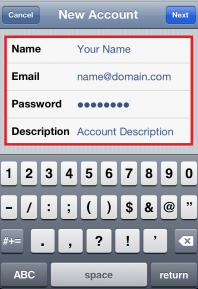 For Password, enter the password for the email address. 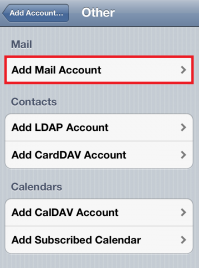 Tap Save to finish configuring your email account. 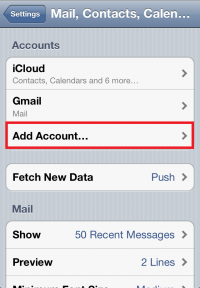 You will then be taken back to the Mail screen where your new email account will be listed. If you encounter an error, please double check that your information is entered properly, or that your server name is correct. 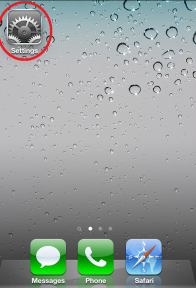 If you continue experiencing difficulties manually configuring your email account, feel free to open a support ticket.